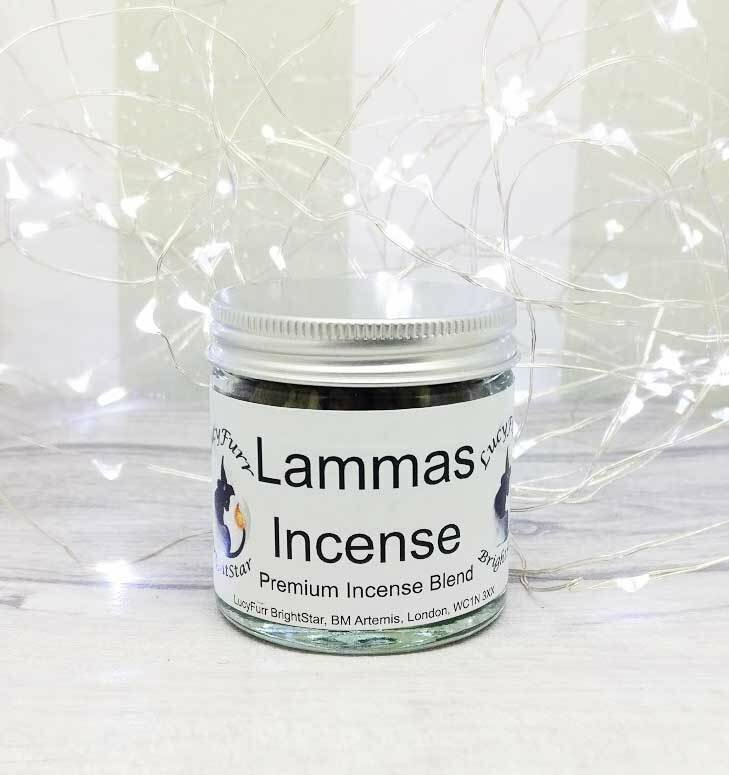 Handmade loose incense specially blended for Lammas giving you all the pagan associations of the sabbat in scent. Bring the summer woodland scent to your home with a mixture of native woods and high quality gums. A blend of high quality gums and herbals mixed with essential oils. Important Note: Loose incense needs to be burnt on charcoal disk in a suitable fireproof dish.